It is already the 24th Sunday in Ordinary Time and the middle of September! Time flies! How hard it is to forgive and accept forgiveness! This past week we celebrated the Exultation of the Holy Cross and Our Lady of Sorrows! What a reminder that we have the graces needed to forgive and accept forgiveness! 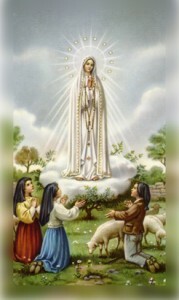 My mom and I started the 33 DeMontfort consecration to Jesus through Mary on September 11 for October 13 the 100th anniversary of Our Lady of Fatima! Have a Blessed Week and pray for discernment!